So far, the Crypto & Blockchain industries have been growing at a very fast pace, and many businesses are keeping an eye out for this technology in order to somehow approach it and take advantage of its many benefits. When mentioning this, I am not referring to crypto prices and market caps that most crypto-related enthusiasts check every once in a while. I’m talking about the core development of projects and products that turn crypto and blockchain into use cases — one’s able to solve different and unthinkable problems. Some people think that prices and rankings are the best KPI (Key Performance Indicators) of how well a project is going, although that is only the tip of the iceberg. There is much more going on — that is usually kept in the shadows — and AppCoins is willing to share and keep full transparency with the community whether with the appcexplorer.io or with the regular bi-weekly AppCoins News Update. The 121 developers and 203 apps that have already integrated the protocol, are obtaining great results: more than a million downloads in just one month. As you may already know, AppCoins implemented a circular economy in its ecosystem allowing Developers, App Stores, OEM’s (Original Equipment Manufacturer) and Users to interact with each other. When I think about it, these four agents are much more important KPI’s than price or CMC rankings. With that said, let’s have a look at some KPI’s that we consider to be the most important, that have well defined measures and that better reflect on how the project is actually developing. So far, it has been an ongoing challenge bringing Developers and App Stores to integrate the APPC SDK (AppCoins Software Development Kit). With that in mind, we facilitated the process of integration via catappult.io. This way, we simplified the entire flow and made each process attainable. If we take a look at last month’s number of apps, the 121 developers and 203 apps that have already integrated the protocol, are obtaining great results: more than a million downloads in just one month. As we continue to grow, developers and partner app stores grow with us. This shows us an average of 5819 downloads per unique app, while the whole Aptoide ecosystem is accounting for 54 average downloads per unique app, proving us that there is a particular interest in these 203 apps. 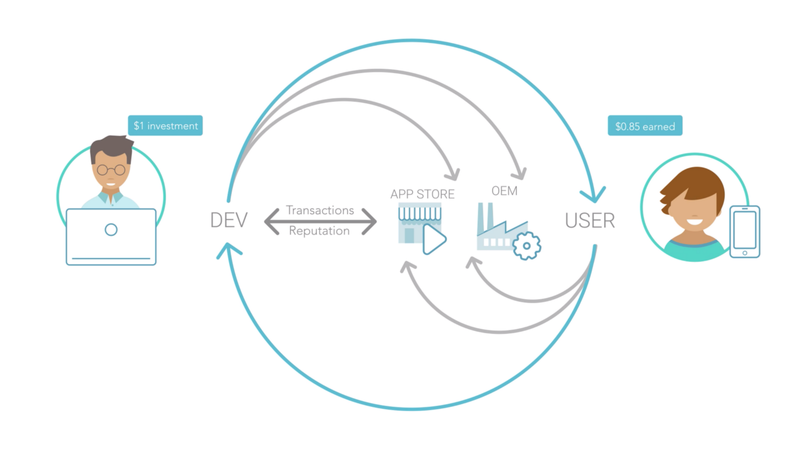 These two metrics (# of apps w/ SDK & # of developers which have integrated) are positively correlated with the amount and value of transactions (PoA & IAP). The PoA (Proof-of-attention) (…) has definitely become a successful way to reward users, and give the opportunity to the unbanked to become themselves spenders in the app economy. This means that the more quantity and variety of apps Catappult has to offer, the more users will be tempted to spend and use APPC and APPC C, and enjoy an app economy where gamers have much more equal spending power due to the PoA feature. As we continue to grow, developers and partner app stores grow with us. Up until now, Aptoide, Multilaser and Cherry Mobile (alternative app stores serving Worldwide, Brazilian and Philippine users, respectively) are the only app stores that have integrated APPC SDK. By doing this, they gave a chance to app developers to get a bigger spotlight and have access to quality and diverse users. 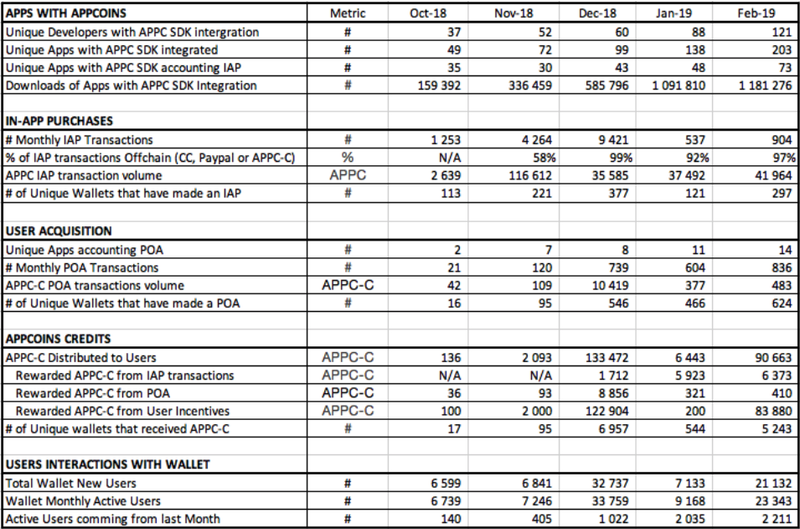 Regarding the user IAP (in-app purchase) transactions of the unique apps with the APPC SDK integrated, we had a massive spike in November 2018, where the app Legacy of Discord from GTArcade accounted 330 transactions, and where users spent 102 278 AppCoins. 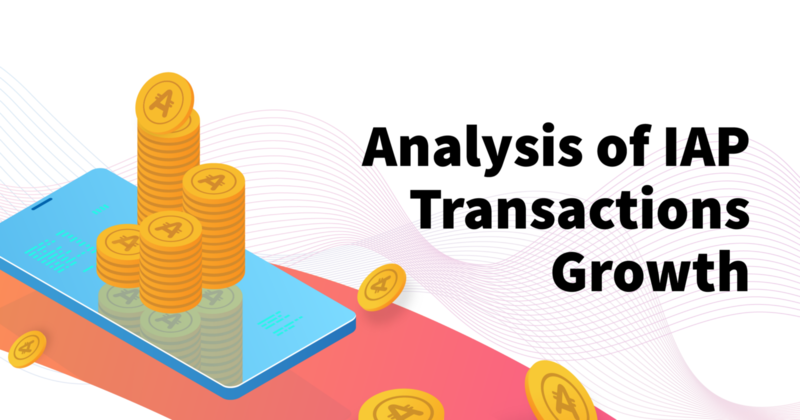 In December 2018 the two apps with more transactions were Word Jungle and Jump the Wall with 4 373 and 3 248 transactions, respectively. The PoA (Proof-of-attention) feature being implemented in more than 14 unique apps, has definitely become a successful way to reward users, and give the opportunity to the unbanked to become themselves spenders in the app economy. So far, there were more than two thousand POA transactions, with more than 11 000 AppCoins credited to users — all these resulting from PoA campaigns made by app developers. Since October 2018, more than +230 000 AppCoins Credits (APPC-C) were distributed as user incentives. These include IAP transactions (users receive a share of the total IAP transactions spent according to its statute), PoA (users are rewarded for paying attention to developers advertisement campaigns), and Festive Seasons (Christmas rewards and Valentines Day rewards). In December 2018, we started a new User Incentives Program called Holiday AppCoins Program, which resulted in 32 737 new users installing the Appcoins Wallet and distributing 122 804 AppCoins Credits by more than +6000 unique wallets. 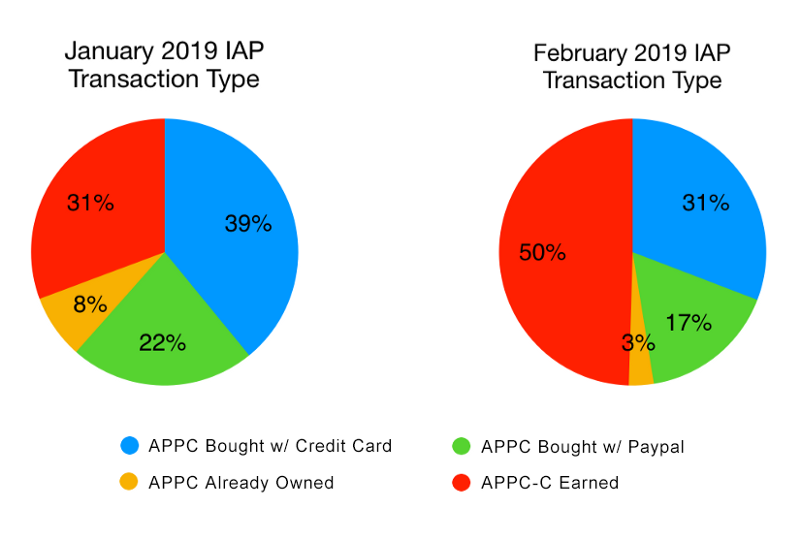 In February 2019, as Valentine’s Day approached, we launched another User Incentives Program which resulted in 21 132 new wallets being created, and in the distribution of 80 423 AppCoins Credits by more than +4300 unique wallets. Our biggest efforts, for now, are towards increasing the volume of the AppCoins ecosystem agents (Developers, App Stores, OEM’s and Users), and consequently the usage of the AppCoins Protocol. As we look at the current numbers, we are heading in the right direction — thanks to the sweat and hard work of the AppCoins Team and other key contributors to the project. Our ambitious expectations increase every day with new app integrations like Lords Mobile from IGG (top gross developer) boosting the core development of the ecosystem.